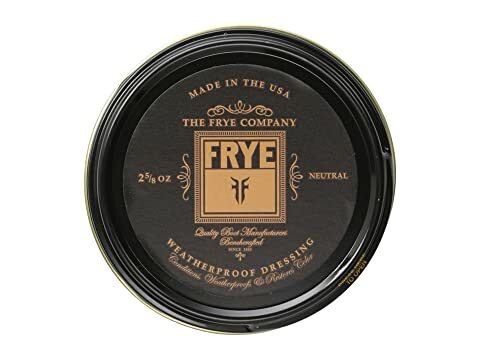 Condition and protect your favorite pair of Frye® boots from the rain with the Frye Leather Conditioning Cream. 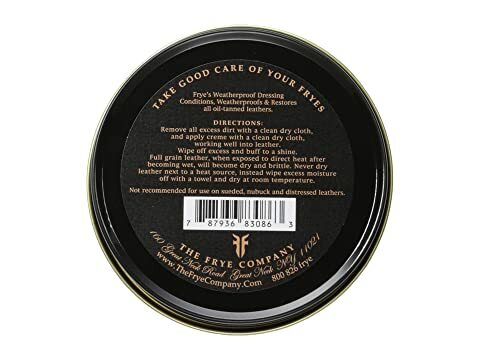 Product packaging has been updated and may appear different from images. Conditions, weather proofs and restores. Does not waterproof, submerging the footwear will cause damage. 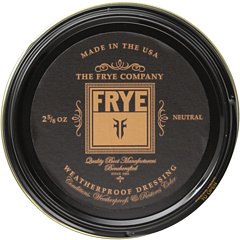 Not recommended for use on suede, nubuck and distressed leathers.